Fil-Am Friendship Day is coming up July 4, gentlemen. I was at Romulo Cafe a couple of weeks back and I was surprised to find out the theme for the restaurant was CPR himself. There were photographs of historical figures all over the walls circa WW2. Gen. Douglas, Pres. Osmena and of course Col. Carlos P. Romulo. CPR's 'I Am A Filipino' essay is prominently displayed in its entirety on the wall of the stairs landing between the first and second floors. I later found out the place is partly owned by CPR's nephew, which explains things. That set the ball rolling for organizing a July 4 USAFFE themed dinner at the place. As of now 12-14 people have confirmed, so we're too few to reserve the 20 seater function room and we'll have to settle for the main dining room. I have already made the reservations. Fil-Am Friendship Day dinner is set for July 4, Monday, 7 pm at Romulo Cafe on 32 Dr. Lazcano cor. Sct. Tuason Tomas Morato QC. Come as Philippine Scout or USAFFE. Class A uniform advised if you have it. You may bring guests, but please dress them in period costumes (Civilian dress for guests OK as long as it's as close to period as possible). What a great idea Medic. I'd go if I were there. 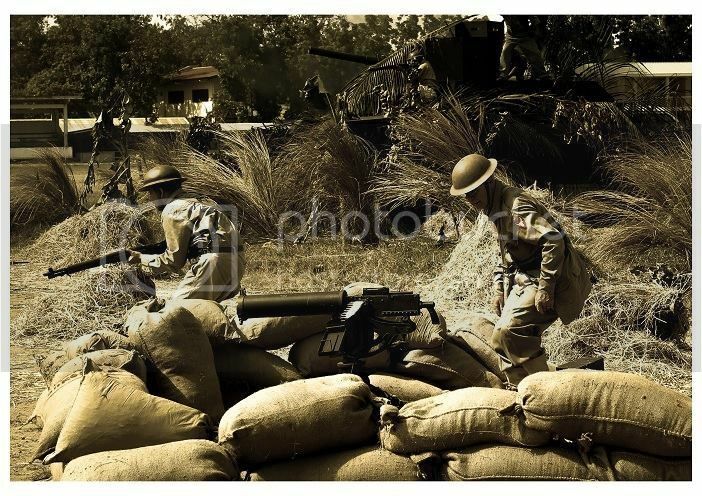 Post pictures if you guys go in period impression. 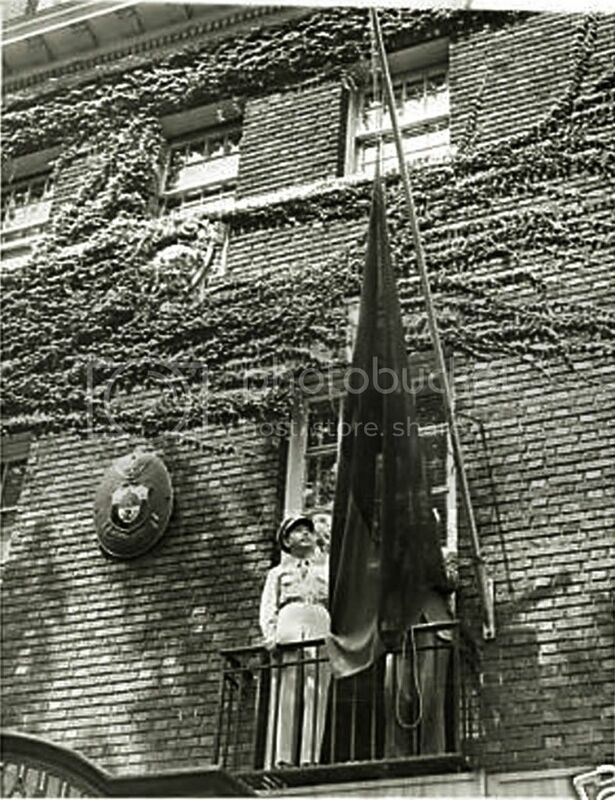 Romulo on Balcony of Philippine Embassy, Washington D.C. wartime. We are confirmed for tonight, gentlemen. ABC will even send a news crew to interview us! Albert and I will take photos and post them here.